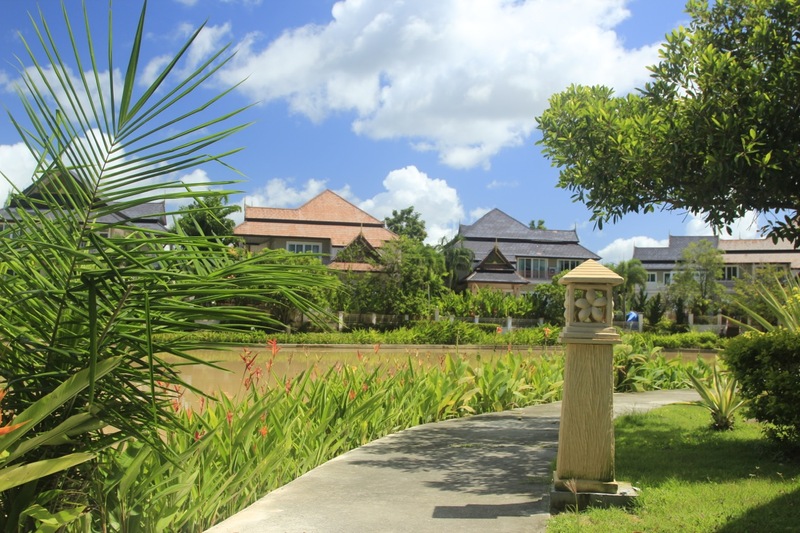 Gated community Private Lagoon Villas in Chalong area close to the well-known Chalong temple. 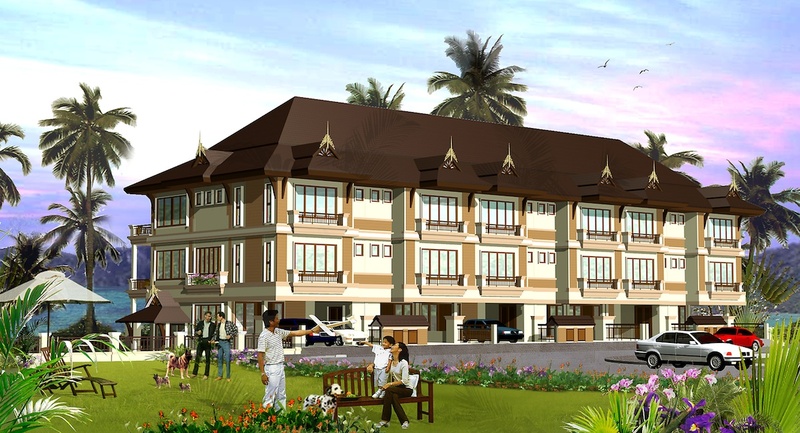 The project is located in Chalong area, Phuket island, near the most famous Buddhist temple in Phuket Wat Chalong. 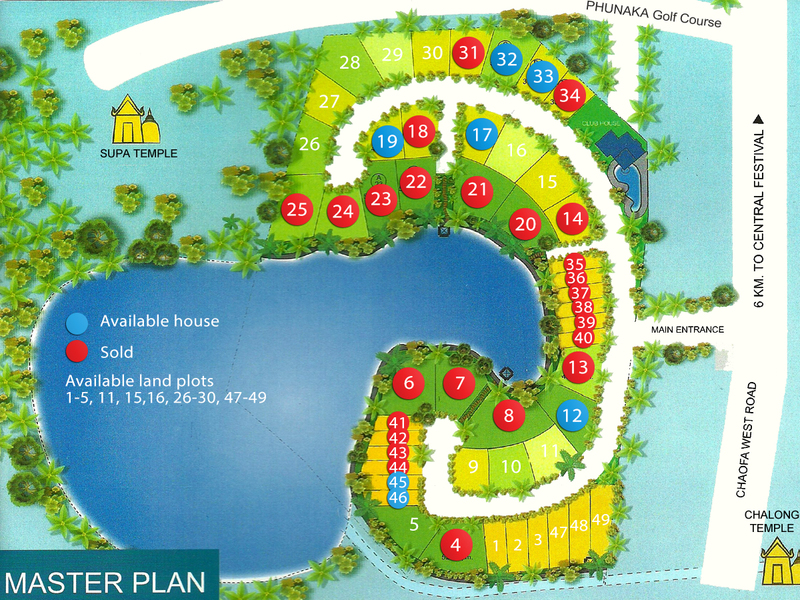 It is only one kilometer from the project and has a golf course Phunaka Golf Club. 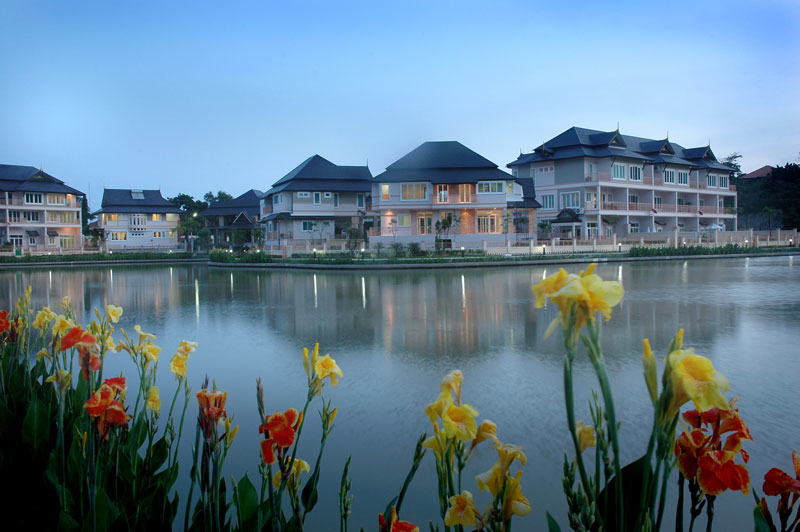 In just three minutes ride there is a new shopping center Tesco Lotus. 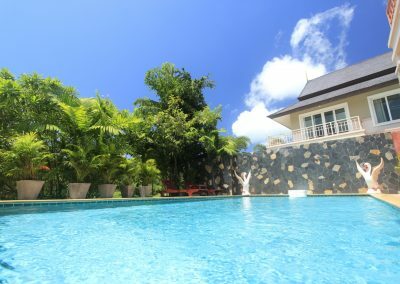 In 10 minutes one can find himself near the largest shopping mall in Phuket – Central Festival, at the same distance from the Private Lagoon there are supermarket Villa Market and trading centre Home Pro with food , household shops, massage parlors , beauty salon, spa, restaurants, cafe networks . 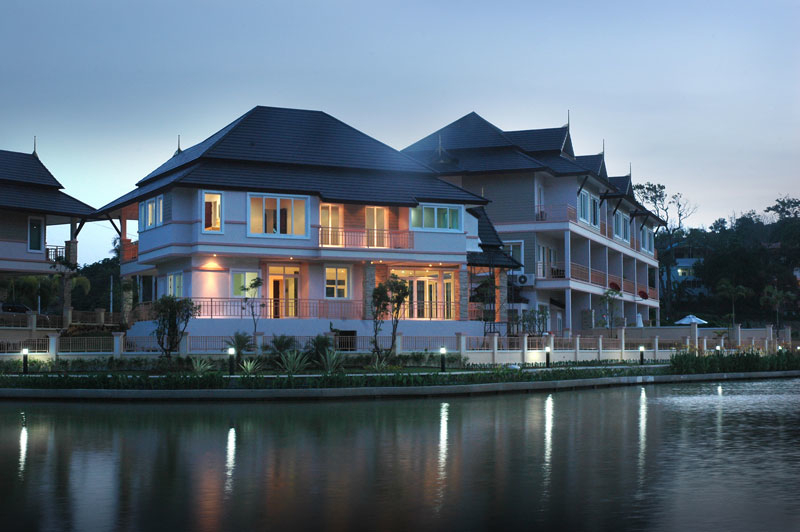 International School Kajonkiet is 5 minutes away from the village Private Lagoon. 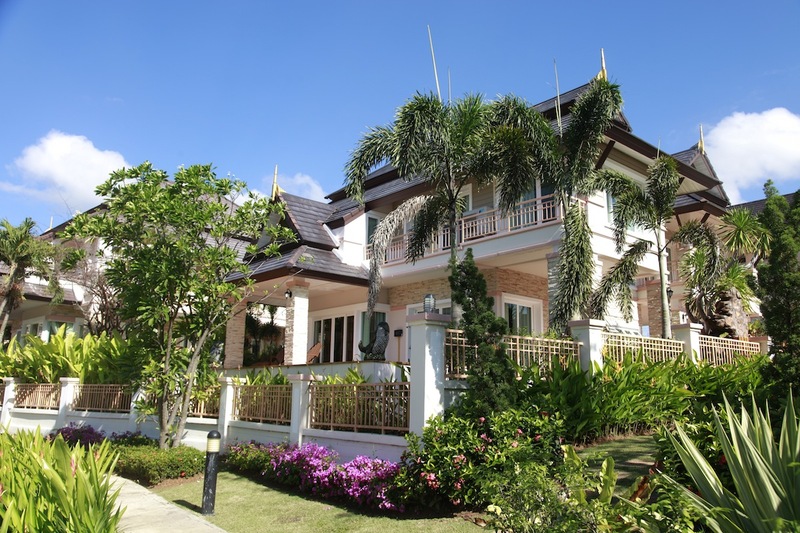 The popular beaches of Rawai, Kata, Karon, Nai Harn – are in 15-20 minute drive. The Private Lagoon villas is adjacent to a private lake and has a spacious area for walking, including a walking path along the lake road and an 12-meters wide road within the village. 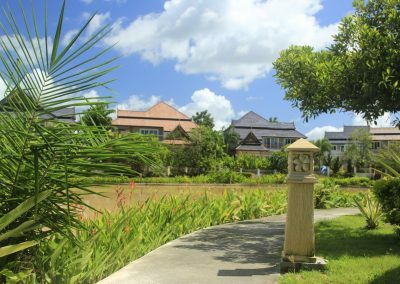 The village has one entry and is 300 meters away from the main road, which ensures peace and security within the project. 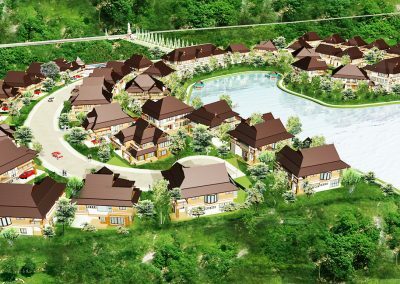 19 of 32 possible detached villas and 2 of 2 townhouses with 3 bedroom apartments are already built on the territory of the settlement. 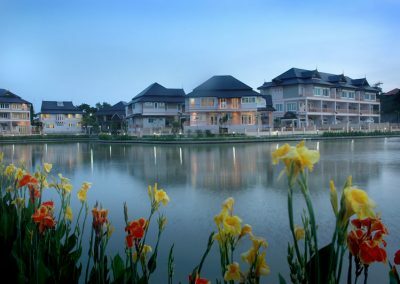 There is a wonderful lake and mountains view from the houses and apartments. 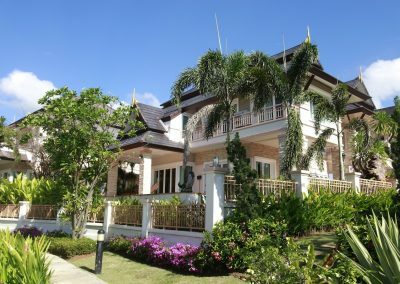 At the moment, several readymade villas and townhouses at the cost of 6-18 million Baht are on sale. 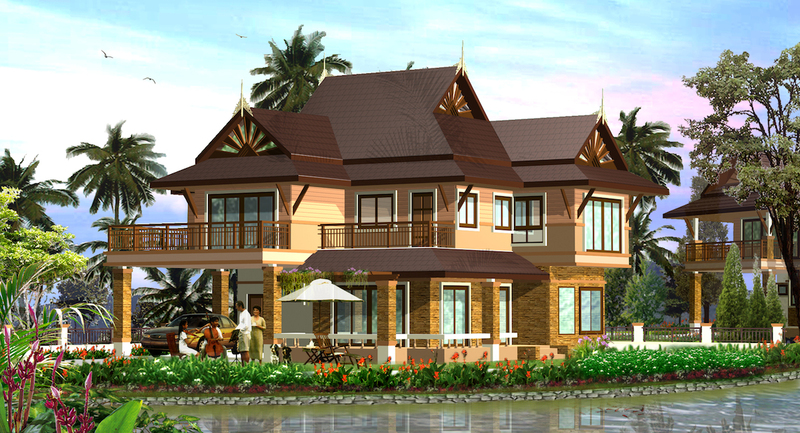 All villas are two-storied, they have three bedrooms, spacious living rooms, private swimming pools, gardens. 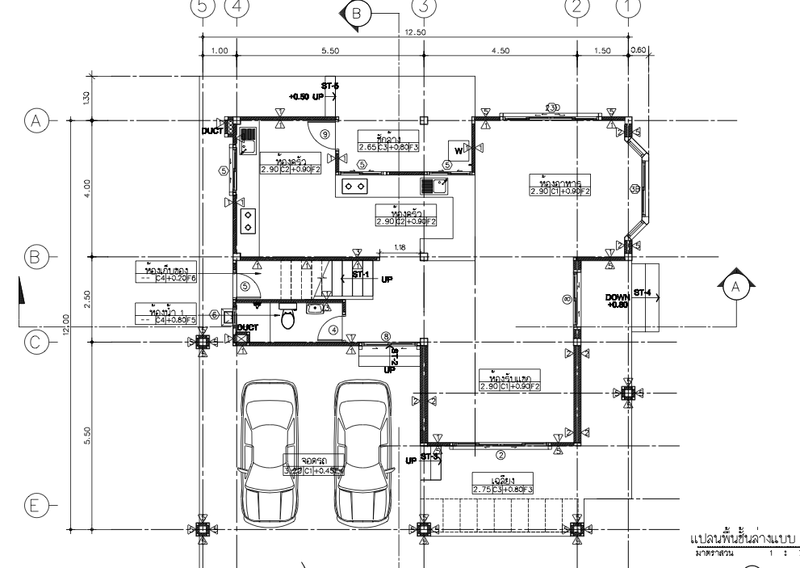 The living space is 280-450 m2. 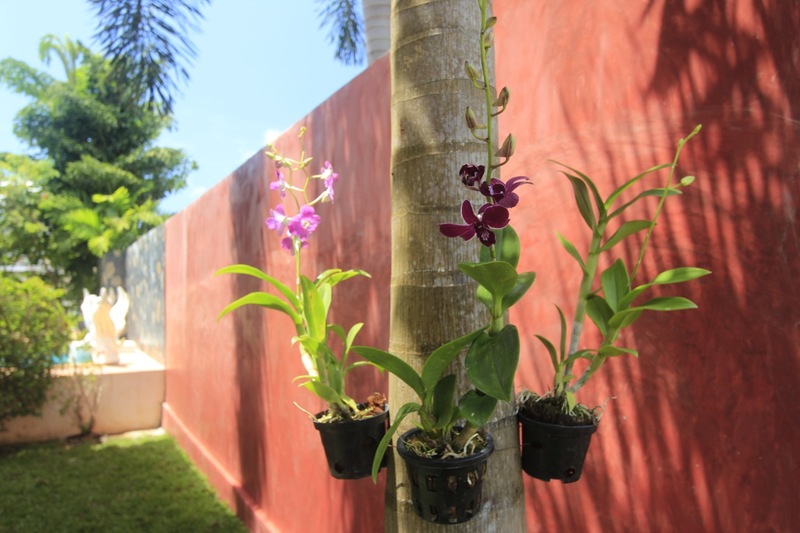 The houses are sold with furniture, connected to all necessary communications – ready to move in or rent out. 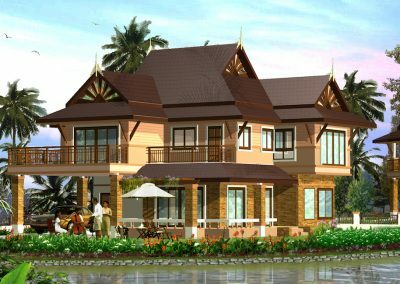 The sales office is located on the territory of the village , where you will be given the necessary assistance to all domestic issue . Off-plan sale is another option to buy property at Phuket Private Lagoon. 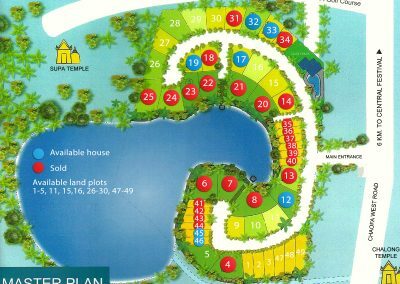 “Turnkey” houses by proposed projects or according to the customer’s requests are available for construction on free plots of land of the second line from the lagoon. 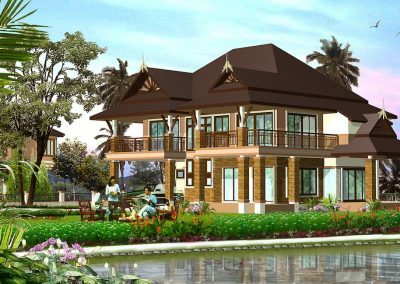 Company develops new design projects for the construction of single-storey or two-storey houses and duplexes of desired configuration. 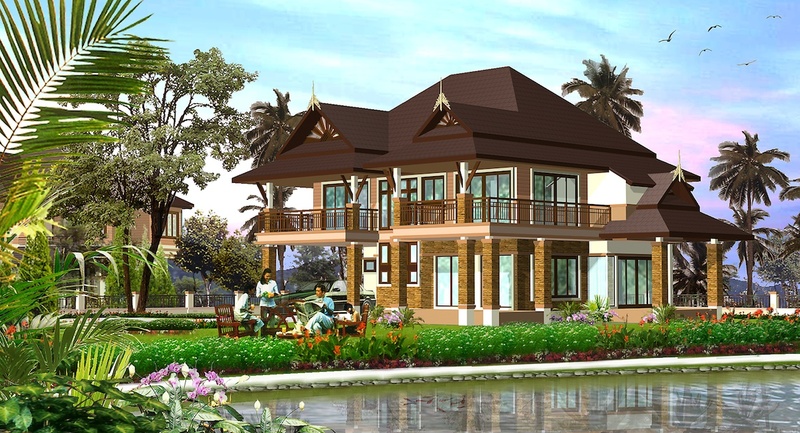 Some of the design-projects can be offered by developer. 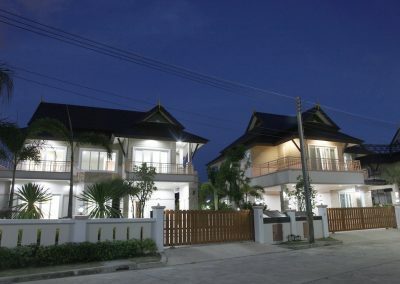 Several houses are rented out and one of the townhouses has offices for rent. 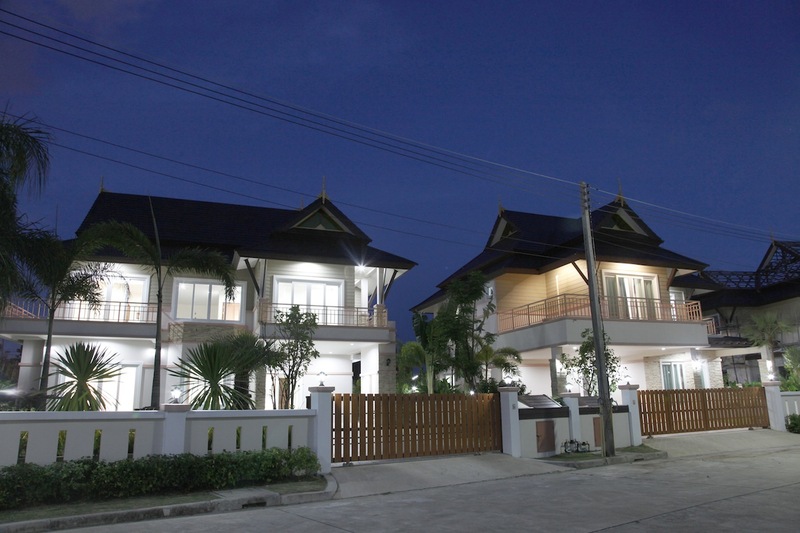 You can rent a villa or an office by contacting office of the management company located in the project. 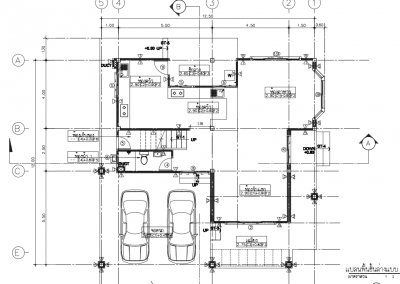 Owners are offered services for the leasing and maintenance of real estate. 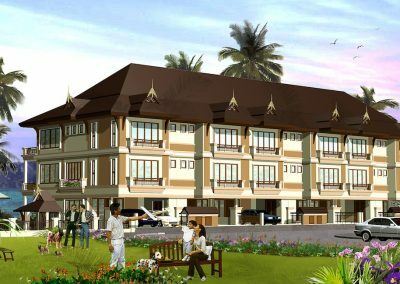 The cost of utility payments for services in the project area consists of the rate of 8 baht per square meter of the estate. 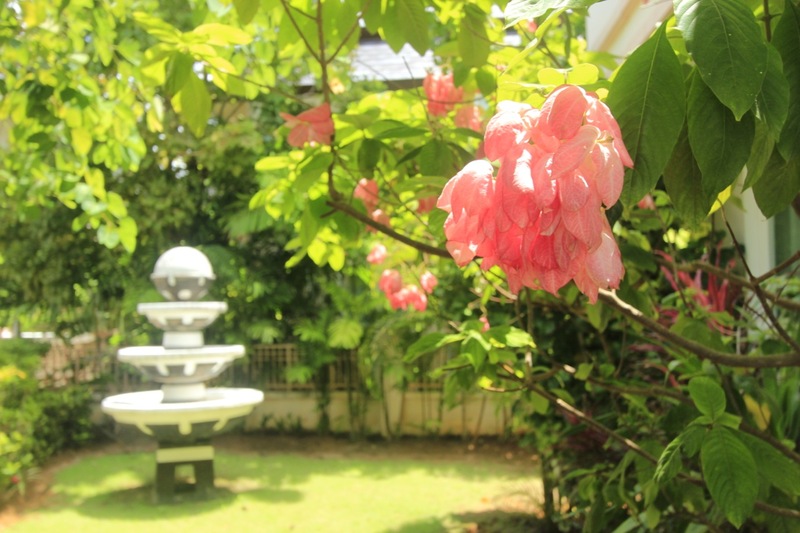 This cost includes maintenance of the garden on site, garbage collection, payment for lighting. 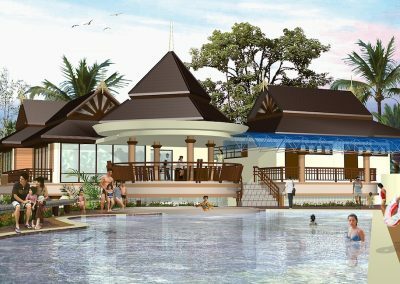 The construction of a Club House with a common swimming pool, cafes as well as a small condominium of 20-40 apartments on the territory of the settlement has been planned. 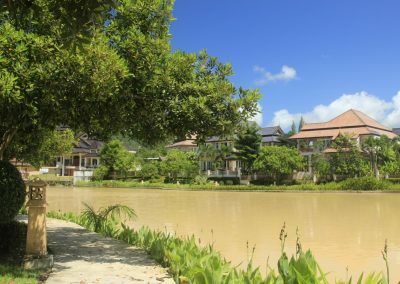 Near the village a Dam and the tunnel connecting Chalong and Patong are being completed within next two years. 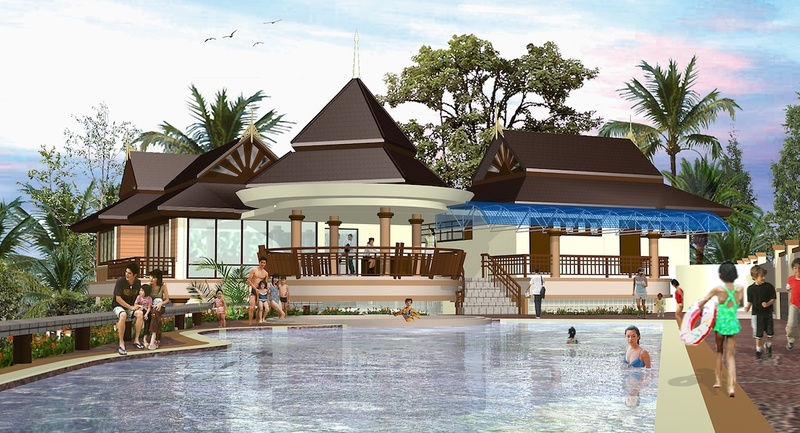 The delivery of these projects is planned for 2016-2017. The new road will make the area more transport attractive. 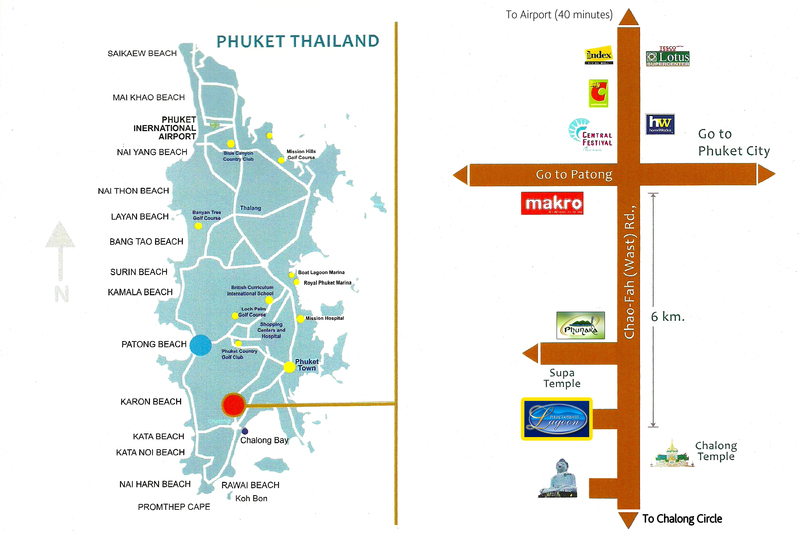 The way from the junction near the village to Patong will take about 10 minutes – 5-7 km distance. Today it is about 20 km; the way takes 25-30 minutes if there is no high traffic. 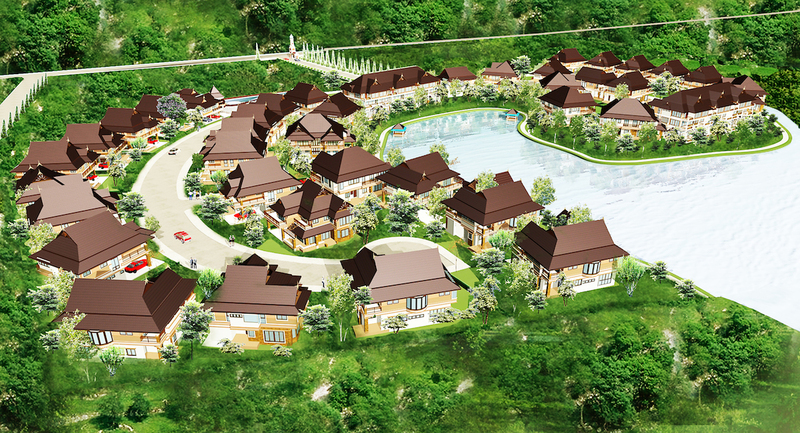 A new hypermarket Tesco Lotus (Chalong) is built in the distance of 1 km from the village. It has grocery departments, shops with home appliances, electronics, household goods, food courts, cafe networks and fast food restaurants, banks. 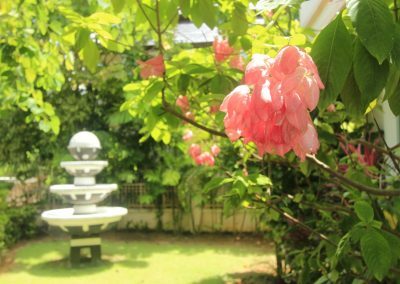 International School Kajonkiet has been updated over the past few years and expanded their courses for foreign children. 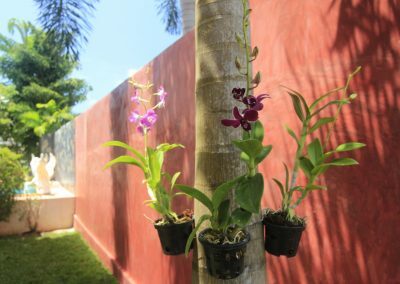 The school is located in Chalong district, 3 kilometers away from the village in the direction of Central Festival shopping center. Central Festival shopping center is also growing. In 2015 the construction of tunnels at the crossroads leading to the international airport will be completed – this will allow to pass the district of Phuket Town much faster and get to your destination.